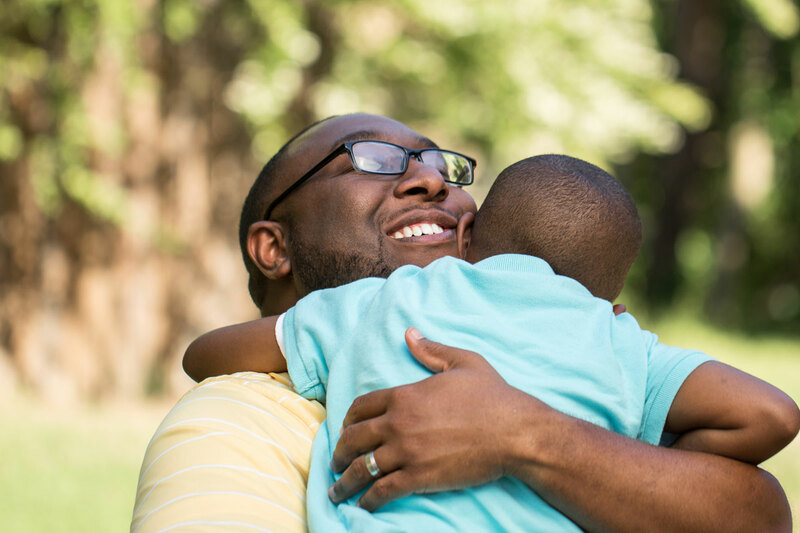 Visitation provides an opportunity for children to visit with non-custodial parents in a safe, supervised setting, and build skills needed to enhance healthy family functioning. While traditional supervised visitation services provide a neutral, objective and third party account of interactions, facilitated visitation is a hands-on approach that helps parents increase skills and develop stronger family relationships. Questions about our Visitation programs can be directed to the Visitation Program Coordinator. This program is funded by Hamilton County Job and Family Services and is open only through referral from Hamilton County JFS. Visitation offers a step down approach to visitation. Facilitated is the most intensive where a facilitator works one on one with a family, supervising the visit the entire time, providing redirection, modeling, suggestions and resources. Monitored visitation is supervised the entire visitation time as well, but is one facilitator to three families and is less intensive in nature. Community visitation is for families close to reunifying making progress on their case plan. Community visitation is still supervised the entire time and is offered one facilitator to one family in the community. Visitation Facilitators provide directed activities, parent education, coaching and feedback to help make the visit successful and assist families in moving toward permanency. Family Nurturing Center Visitation Facilitators are key members of the decision making team and work side by side with the family and Hamilton County Job and Family Services (JFS) staff to help children achieve stability and permanency. Most Visitation services take place at our Cincinnati office location, 7162 Reading Road, 5th floor. 63% of active clients demonstrated progress in one or more assessed areas. 93% of clients felt the staff believed in them and their success.